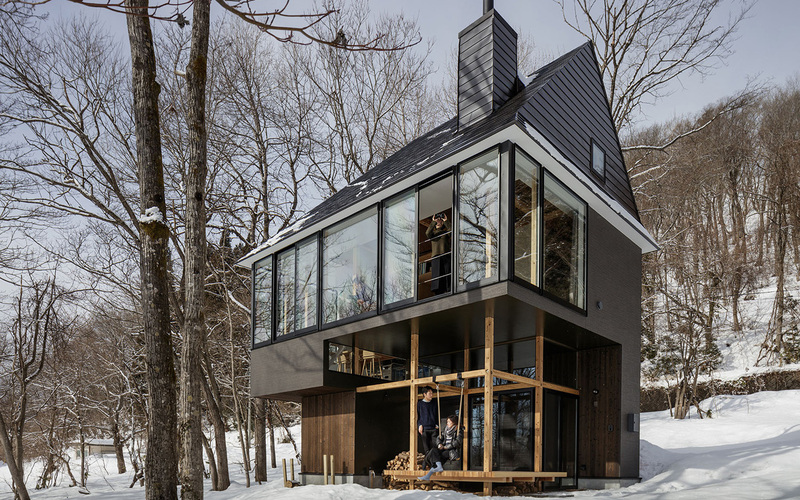 For this lakeside house in Japan, Tokyo-based studio Sugawaradaisuke used five interlocking levels to create multiple viewing platforms both inside and outside the property. 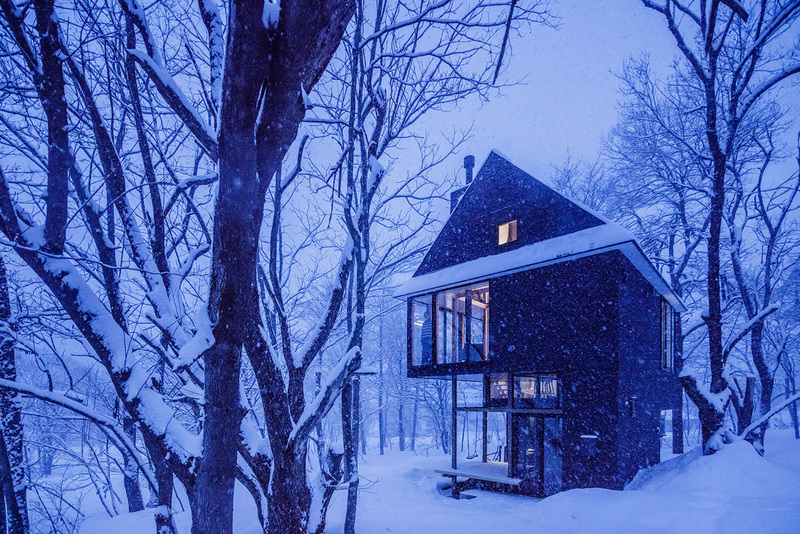 Rather than a traditional two-storey structure, the architecture practice designed a multi-level layout for the cottage, that gives the occupants multiple perspectives of the surrounding forest. 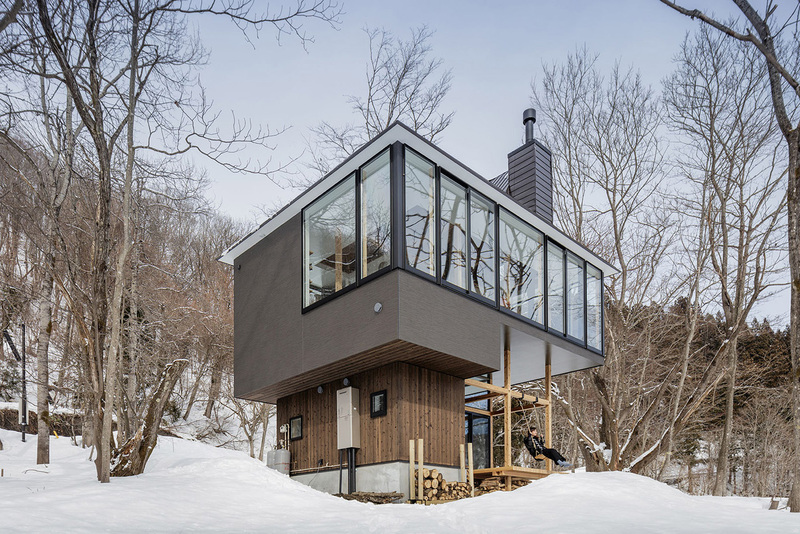 The house, called called Nojiri-ko Nature Platforms, sits near the shore of Lake Noriji in the Kiso Mountains of Japan’s Nagano Prefecture. Each of the five platforms is made from different materials in different sizes and set at different heights. Floors double as benches, shelves, and even beds. 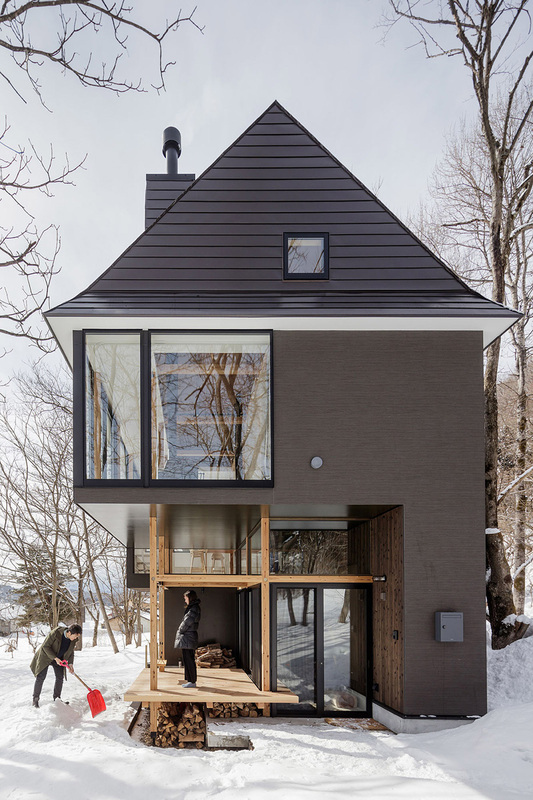 A sheltered outdoor space is created on the ground floor where the house’s larger first floor juts out overhead. 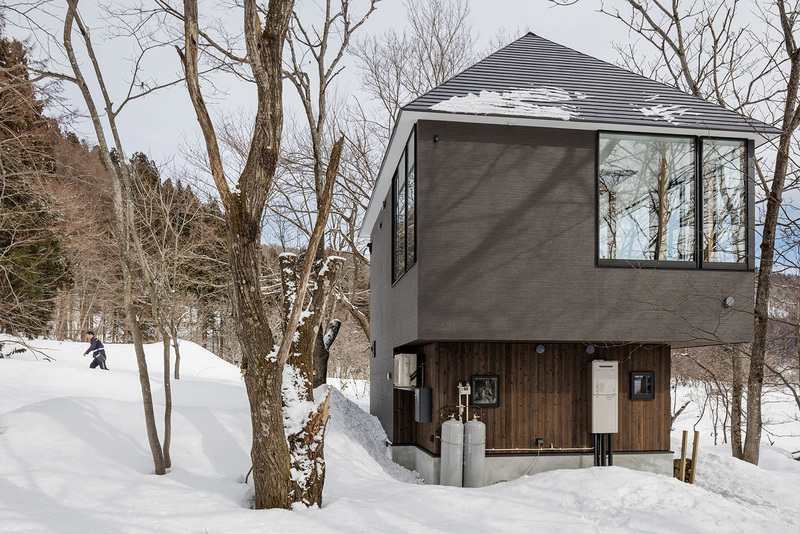 At ground level the first platform is a semi-indoor space that can be used for storing firewood and as a winter garden. Sliding glass doors open out onto the second platform, which takes the form of raised timber patio positioned under the canopy of the upper levels. 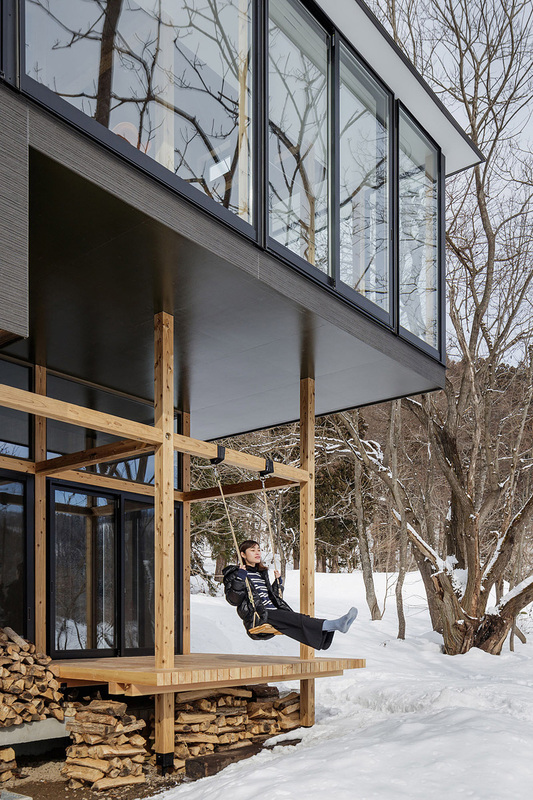 A swing hangs from the timber-framed porch and firewood can be stored underneath. 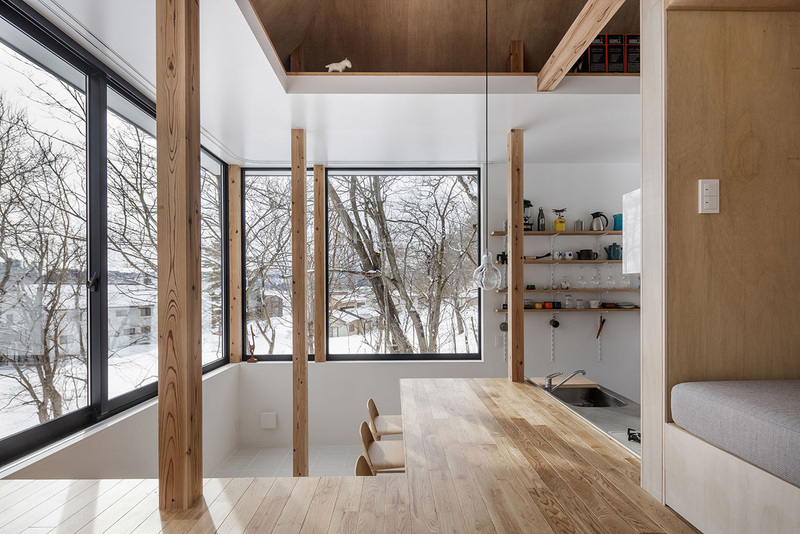 The third level of Sugawaradaisuke’s house is fully indoors and spans the full width of the property. 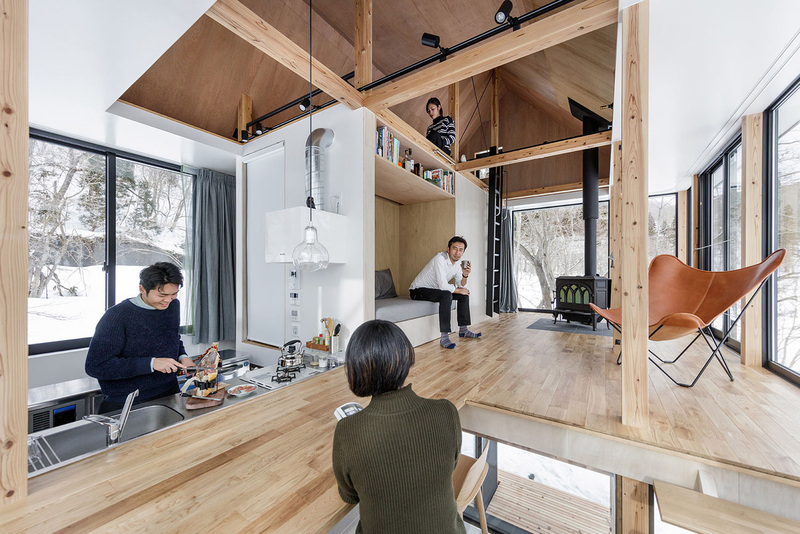 Here occupants can use the kitchen or sit at the table, which doubles as the floor of the fourth platform. 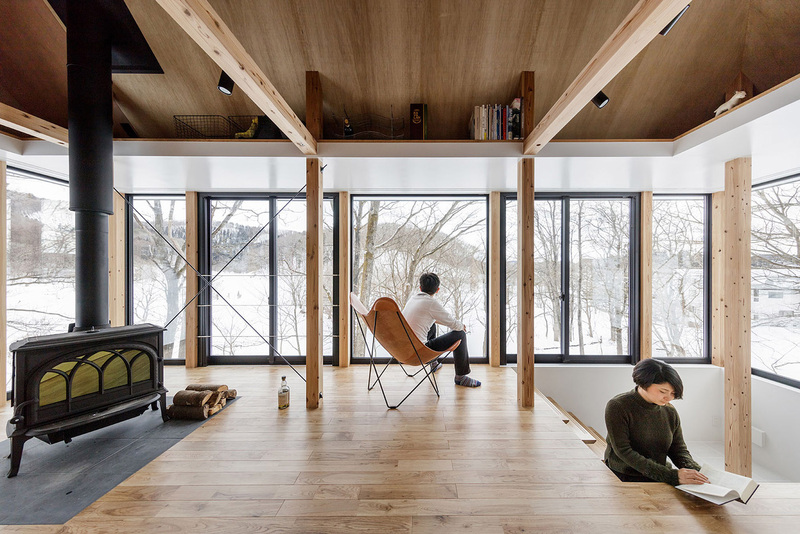 On the fourth level, the floor stretches across the length of the house to accomodate a living area with a bench set into a central wall and a log-burning fire. The main bedroom can also be found on this level. Up another set of stairs, a fifth platform under the eaves can be used as an additional sleeping area. 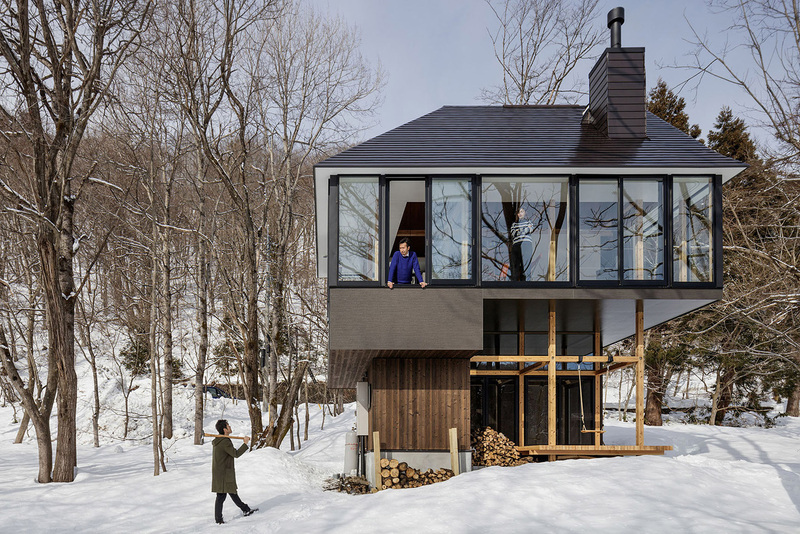 Full height windows wrap around two sides of the house, giving panoramic views as the occupants rise up half-flights of stairs through the levels. 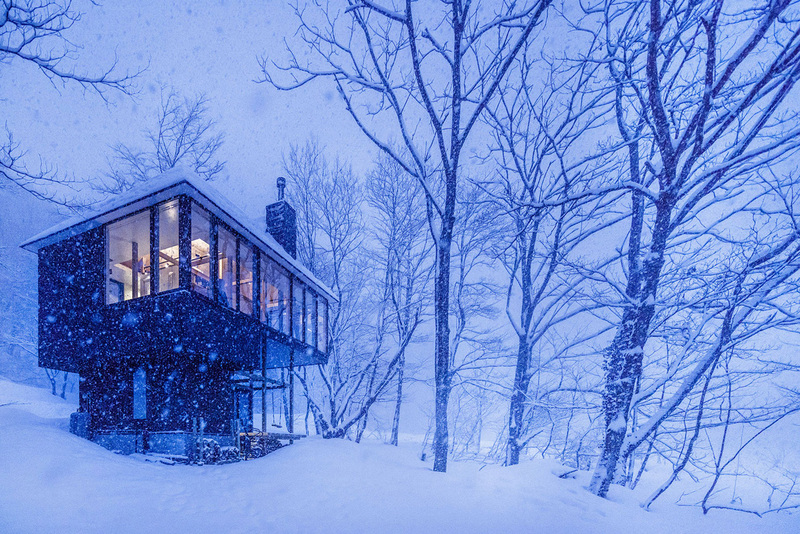 The glazing faces into the forest and towards the lake, while blank walls on the opposite side give privacy from the road. Aldo be sure to check Modern Cottage Design in Saint-Elie-de-Caxton by YH2.